Remember mood rings? That jewelry that changed color based on temperature? 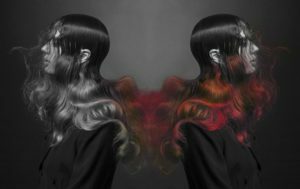 Well, Lauren Bowker has just invented something far cooler- a hair dye called “Fire” which changes color when exposed to different temperatures! Color-changing hair dye! Yes, you read that right. According to Dazed’s interview with Bowker, this revolutionary new product came about through “just messing around the lab.” Bowker discovered that heat or cold changes the bonds of the molecules giving you a different color through a chemical reaction. Similarly, she works with bonds that change their structure, creating a light refraction instead- like that of a rainbow. It seems there is much more to hair dye than we thought! Bowker is from Reed, Pennsylvania; an area very close to Pendle Hill where women were infamously hung in 1612 for being witches. Bowker has a very interesting perspective of the world, and perhaps this is due to her occult lifestyle- and witchery. She believes the occult has a bad rep because it was used as a way to ostracize women who were doctors, etc- they were just cast aside as witches who should be killed. Bowker believes the occult to be a way to live spiritually, and her world view seems to reflect what the occult is all about, “a knowledge of the hidden.” Bowker also uses colors to convey world problems because it is a sensory ‘you have to see it to believe it’ kind of proof. She explains that people don’t want to feel guilted into being better people-that is an easy way to ignore the facts. For example, her invention of a jacket that changes color when exposed to pollution is a far more powerful way to show that pollution exists. We are so excited to see “Fire” launched at London Fashion Week in collaboration with Storm Models. Check out Bowker’s website to see what she is up to. We are always interested in learning about new techniques and products at tru on park! 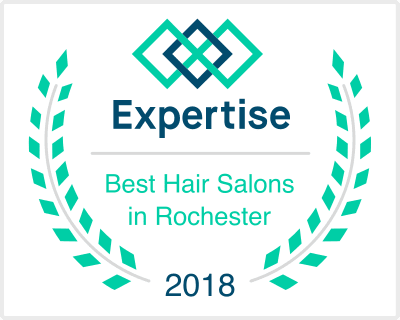 Follow us for more information on the latest hair trends!